Kingdom Hearts 2.5 HD Remix came out last week and that also means Square Enix's Play Arts Kai Sora also scored a release...what a coincidence?! This is the second iteration of Sora that Square Enix has released. The first version was released several years ago with subsequent releases that featured him in his various drive form costumes. This time around Sora features a new head sculpt as well as various other upgrades. This figure can be posed in many different stances. Thanks to Square Enix's excellent Play Arts Kai line, anyone can pull off the iconic poses Sora is known for. Like other Play Arts Kai releases, this figure has many points of articulation. I'm most impressed with his paint job. The costume is everything we remember about Sora and, of course, the attention to detail is also very apparent. Each detail of the costume is finely sculpted and a marvel to behold. Accessories wise he doesn't come with too much. 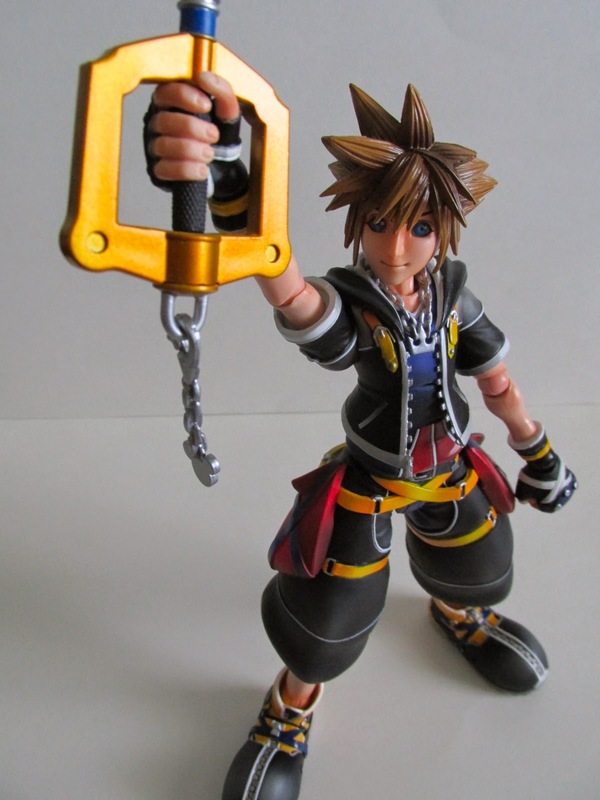 He comes with two hands made to hold the keyblade, two open hands, two fists, one hand to hold the oathkeeper charm, keyblade, and the oathkeeper charm. The oathkeeper charm is a nice touch and is a notable addition to this figure. I will say though I once again had a hard time trying to put the keyblade in his hands. 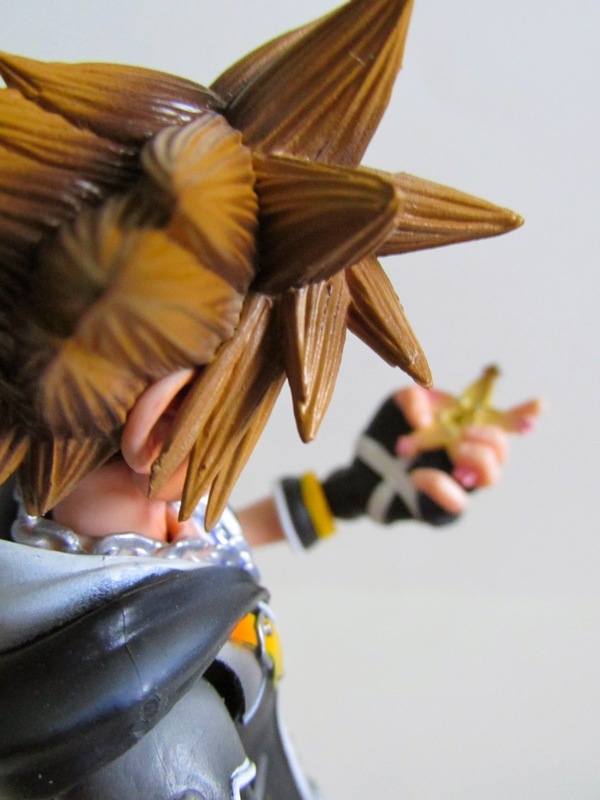 The hands are not too pliable and the index finger seems to always get in the way of him holding the keyblade. With a little nudge and twisting, you can manage to get the keyblade in. I hope in the future they can make the hands a little more forgiving in order to not make this a chore. The one other qualm I have with this figure is his eyes. Sora does have big blue eyes, but it didn't take take up his entire eyeball. He does have some white in their too, but it seems Square Enix chose to make his entire eye blue. If you compare this with the Dream Drop Dive Sora that was released earlier, you can see Sora did have some white in his eyes. Granted he is supposed to look younger, but it looks much better compared to what this release has. Sora looks great from head to toe...its just his alien like eyes really make him stand out in a bad way. I think this decision has to do with the Play Arts Kai style and this is their version of Sora in the Play Arts Kai style. It's not the biggest turn off, but I was surprised to see this when I opened him up. Overall, I do like this figure, and this is a great representation of Sora. Kingdom Hearts fans should not miss out on him. 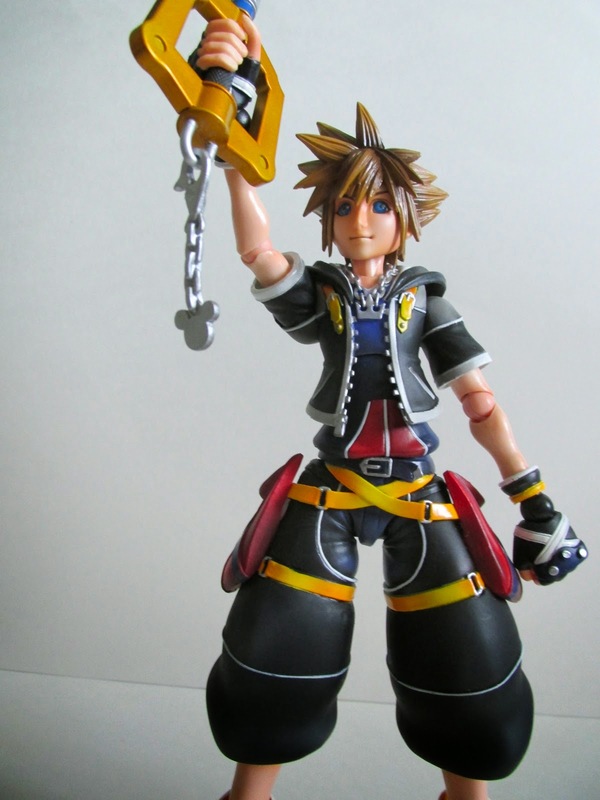 If you were lucky enough and got the Japan special edition, then you got the exclusive Sora Limit form figure, which is basically this figure painted in his original Kingdom Hearts 1 colors. We'll have to see if they release his other drive forms, which I'm sure isn't too farfetched. 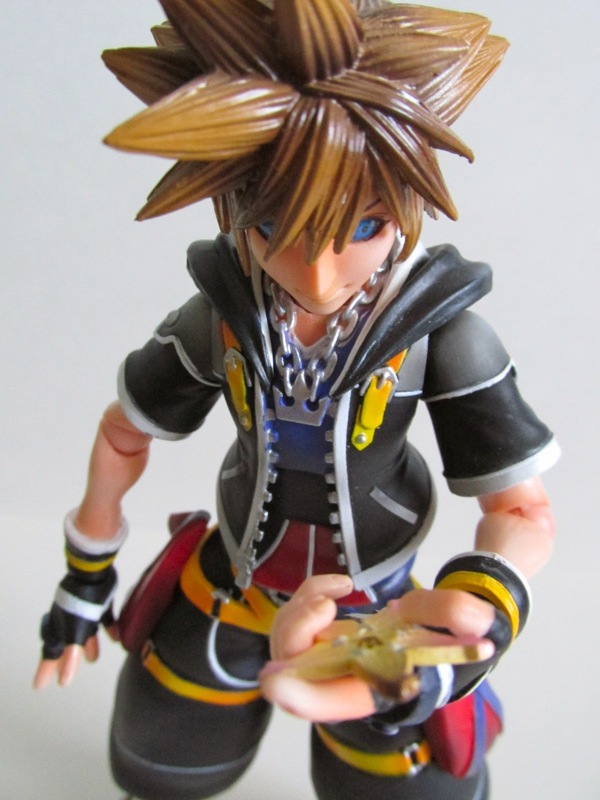 Stay tuned for the next review as I take a look at the Play Arts Kai Roxas!